If you owe taxes to the IRS or to the State it is common practice for them to file a tax lien in order to protect their interest. If you have ever sought to obtain financing for your home, business or even to purchase a car you know that tax liens can be hurdle to say the least. In some cases, a tax lien can “trump” other lender’s interests and cause them to back out from active financing activities. This is particularly pertinent to businesses obtaining accounts receivable financing. It is important to know that the government will often set aside a tax lien to allow financing to take place. Especially if the taxpayer is willing to use a portion of the funds to pay delinquent taxes. If you need to remove a tax lien, subordinate a tax lien, or attempt to keep a tax lien from being filed you have come to the right place. 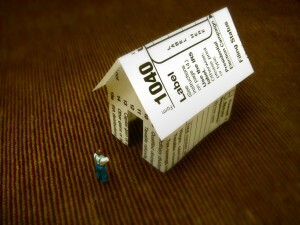 The Tax Resolution Institute has over 25 years experience addressing tax lien matters to facilitate our clients needs. In certain cases, even if you owe back taxes we can keep a tax lien from being filed. Contact us today to discuss your concerns.